What's your favorite comedy about the terror of totalitarianism? It's a bit of a surprising topic: mass murder and state terror are, at least in real life and at least most of the time, not laughing matters. And yet, I found myself thinking while immensely enjoying Armando Ianucci’s new film The Death of Stalin, more than once great filmmakers have proved that it’s also fertile ground for humor. 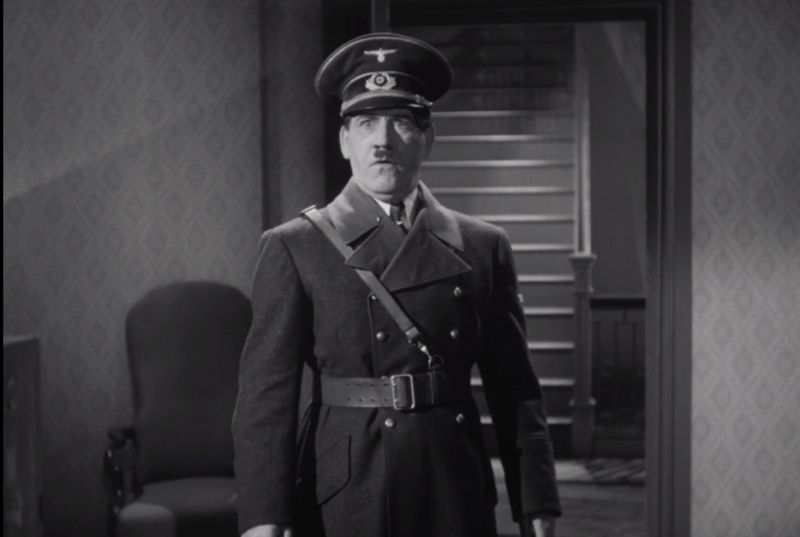 The film that probably jumps to mind is Charlie Chaplin’s famous anti-Nazi satire, The Great Dictator (1940), but my favorite film comedy that turns “concentration camp” into a punchline is Ernst Lubitsch’s To Be or Not to Be (1942). The farcical backstage comedy of To Be or Not to Be concerns a company of actors in Warsaw on the eve of the German invasion of Poland in 1939 (the film, produced while the US and the USSR were allies, elides the fact that the Soviet Union also invaded Poland, from the East). At the beginning of the film, local Warsaw celebrities Joseph Tura (Jack Benny) and his wife Maria (Carole Lombard) are rehearsing a play called Gestapo, intended to be a searing indictment of the dictator on the other side of the Oder River. With tensions rising with Germany, however, the Polish government cancels the show, insisting that they must do whatever they can to placate Hitler. Meanwhile, by evening, the couple and their company are performing—as, it is implied, is their wont—a rote production of Shakespeare, with Joseph as Hamlet. Maria is being courted by a dashing young Polish pilot named Sobinsky (Robert Stack), who attends the show every night, and whom she arranges to meet backstage while Joseph performs Hamlet’s famous “To be or not to be” soliloquy. Thus, at every performance, Joseph, egotistical and insecure, has his big moment interrupted by the a man in the second row getting up to leave--unbeknownst to him, this is the same man who continually sends his wife flowers. Soon, though, Germany invades, and Poland falls. The company’s theater is bombed out, Sobinsky joins the Polish military in exile in England, and Warsaw is put on lockdown by the occupying Nazi force, as signified by a montage of curfew notices and legal declarations. Several months later, Sobinsky is parachuted into Warsaw to prevent a list of Polish resistance fighters from falling into the hands of the Gestapo; begrudgingly putting aside his jealousy of Sobinsky for the sake of his country, Joseph decides to dust off the uniforms from the unstaged play, and hatches a plan to retrieve that list. The deep, sustained humor of the film comes from many sources. For one thing, the seeming incongruity of the subject matter and the form—totalitarianism and comedy—undoubtedly produces much of the humor in a film like this. Part of our laughter is the release of tension that humor allows us, an almost reflexive relaxation of nerves. When Maria Tura, like her husband an actor with delusions of grandeur, insists to the company’s director Dobosh (Charles Halton) that she wear a glamorous, tight-fitting dress for her concentration camp scene, the laughter is more a nervous titter than a outright laugh. But this kind of laugh, one that makes light of the terrible, can obviously come off as tasteless. 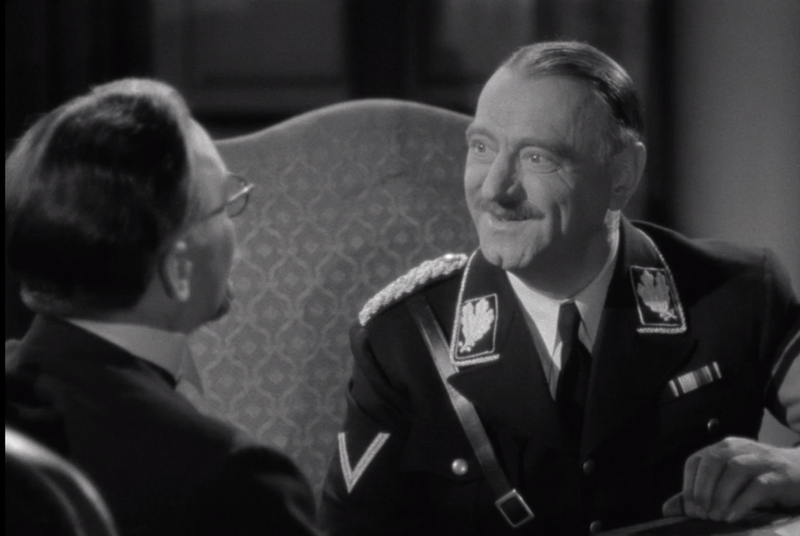 One line from the film, when the Nazi Colonel Ehrhardt (Sig Ruman) tells Joseph, disguised as the Nazi agent Professor Siletsky, that “what [Joseph Tura] did to Shakespeare, we are doing now to Poland,” was the most infamous line from the film when it was released. Even in the mouth of a Nazi character and even before the full extent of Nazi crimes in Poland was known, the joke was seen as a dehumanizing analogy deployed for a cheap laugh -- perhaps rightly. But in To Be or Not to Be such jokes also serve its story by accentuating characters. The aforementioned Ehrhardt joke may get a guilty laugh by itself, but it also reminds us that the ostensibly doofy Ehrhardt is callous and evil, and it continues the recurring joke of Joseph facing his own inadequacy, even while saving his country. Moreover, the film never seems to be punching down. Both Ehrhardt and Joseph can be petty, equivocating, and buffoonish, but only one of them does so while signing execution orders. What I have not mentioned is the film’s masterful opening sequence, in which a disembodied narrator sets the scene on the streets of Warsaw and informs us that, months before the war, Hitler has arrived. How? “Well, it all started at Gestapo headquarters,” he explains, and the film lap-dissolves into a blandly decorated office, featuring a prominent portrait of Hitler above the desk. But this, we will learn at the end of the scene through a sudden cut to the director Dobosh, observing the action, is not Gestapo headquarters: it is a rehearsal of Gestapo, the play. This opening sequence lays the groundwork for the film’s satire of totalitarianism by thoroughly confusing the viewer’s understanding of what is real and what is mere performance. Repeatedly, this boundary is blurred in the film: the conversational banalities produced by Joseph-as-Ehrhardt that tip Siletsky off will be repeated word for word by the real Ehrhardt when Joseph meets him as Siletsky; the real Gestapo members respond just as automatically and nervously to “Heil Hitler” as the actors on stage; the real Siletsky will die dramatically on the stage of the Polski theater, just as the curtain comes up. What Dobosh doesn’t get in the opening sequence—and what the film will repeatedly show us—is that totalitarianism works by replacing its artificial, performance-world with the real world. The bearer of authority is less the person than the uniform, the gesture, the name, and the little mustache; one’s every utterance must be simultaneously both sincere and conforming to arbitrary standards; the Jews are criminals, and if they aren’t, we will make them so to prove they were. The Nazis were actors, purveyors of an artificial world that nevertheless murdered millions of real people. The actors in To Be or Not to Be—lightly mocked throughout as egotistical, hammy, scenery chewers—realize that they possess precisely the skillset to hoodwink the Nazis. It’s a brilliant, insightful theme, sophisticated in its understanding of the political and ethical implications of real life and totalitarian fiction becoming indistinguishable. What the film has in common with The Death of Stalin is its willingness to observe the absurdity of totalitarianism, without dehumanizing its victims. (They both also mercifully let their actors speak English in their natural accents, rather than forcing them to fake Eastern European ones.) While each makes dark humor out of horrible subject matter, and humanizes murderers by making them funny, they never lose sight of the fact that the struggle for freedom from oppressive rule is real; what is absurd in the films is not the struggle itself, but that the farcical ideologies of totalitarianism should be able to put existence should be at stake, to make its victims wonder whether they will be or not. P.S. Do not watch the Mel Brooks remake of To Be or Not to Be (1983), directed by Alan Johnson. What that movie does to Lubitsch, the Germans did to Poland.